As an experienced SEO professional by day, I work with international Blue Chip companies and help them to get the results they want. In the evenings and weekends, my focus is on blogging – whether it’s writing my own Brighton based food, lifestyle and craft blog, or helping out other bloggers who might not have the knowledge and experience as I have, but still want to reach their full potential. I can do this on an individual or group basis, and can work together using webinars and screen sharing sessions, or in person. I can also offer non-bloggers this kind of service. 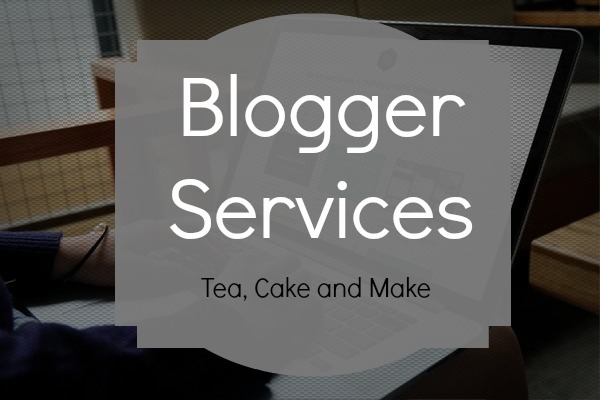 If you’re looking for some help and want to know more, please don’t hesitate in getting in touch by email: teacakeandmake@gmail.com.